Personalised full colour panel Wooden Pencil Case. Personalise the sliding panel of the pot with your image and/or text. 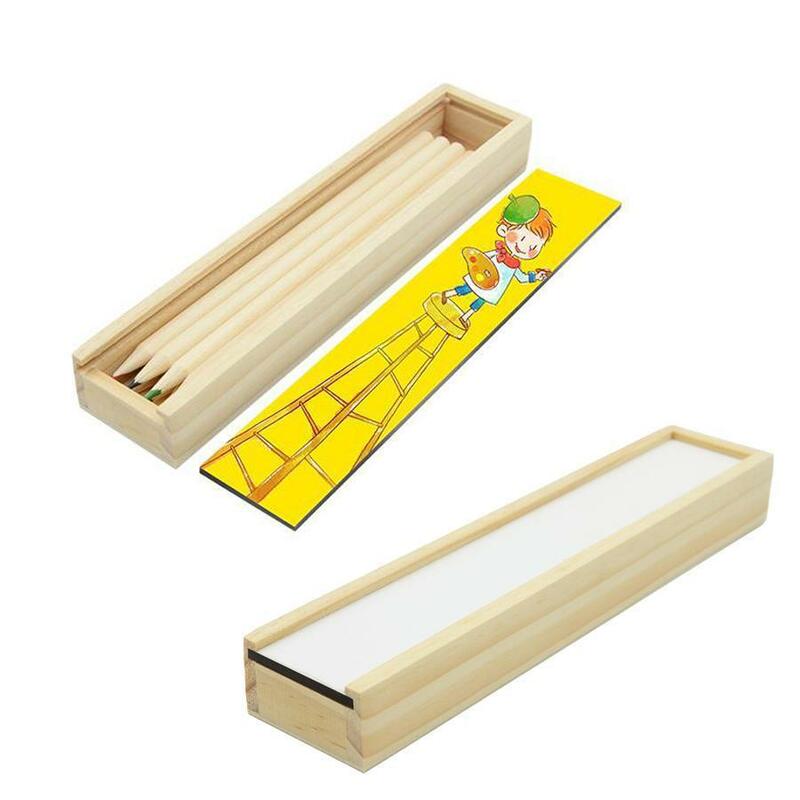 The pencil case measures 20cm x 4cm x 2.5cm and comes with 8 wooden colouring pencils. You can have these engraved with a name (first name or initials only) for an additional charge.